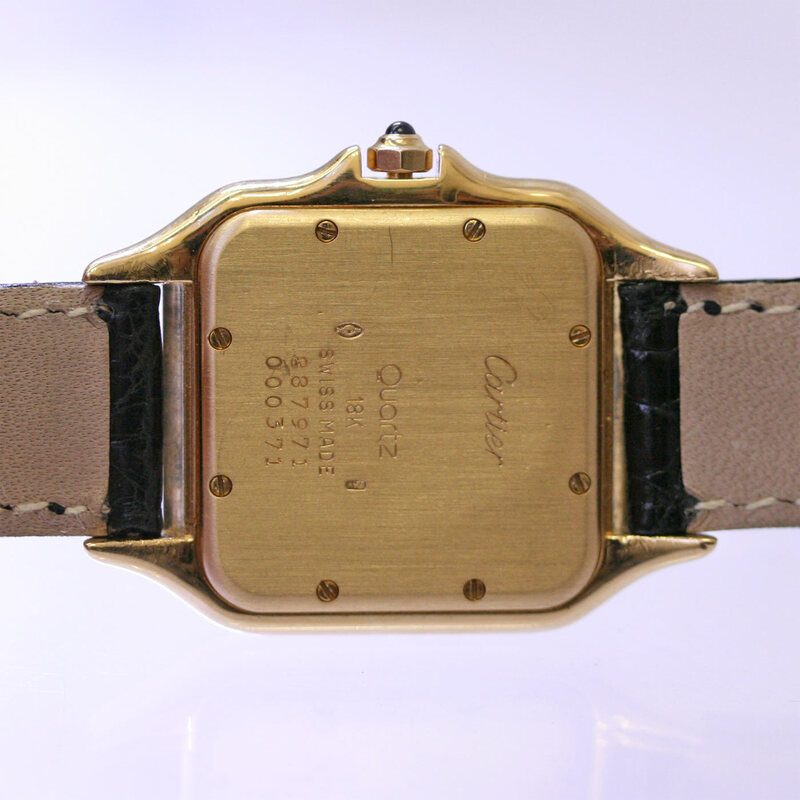 Product code: 725 Categories: Sold Items, Sold Watches. 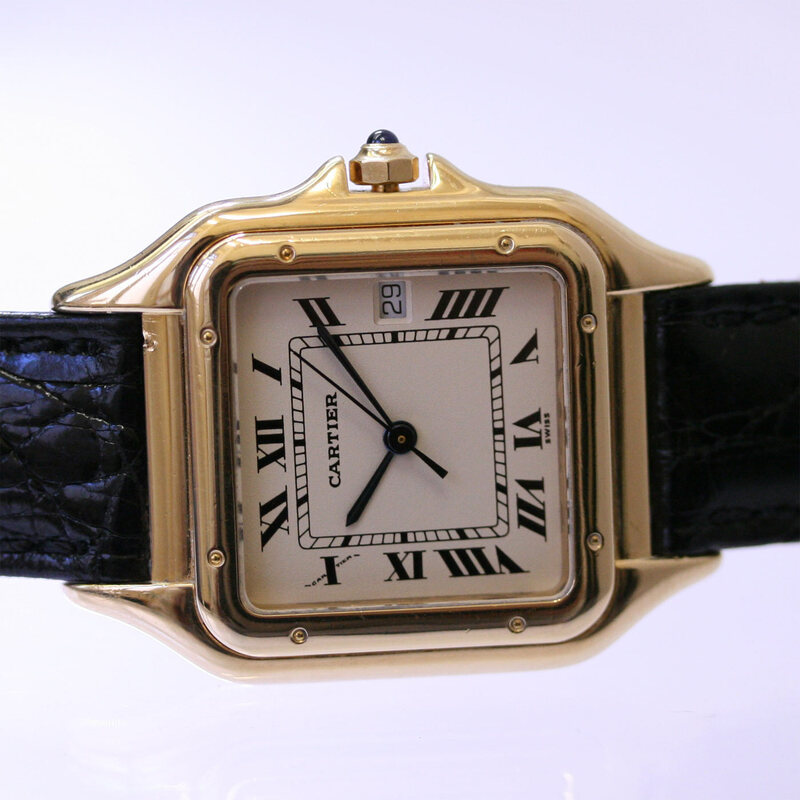 This is the Cartier Panthere in solid 18ct gold, that looks and feel fantastic. Measuring 27mm across (31mm with the crown) x 38mm high, this watch has a look of such style and elegance, it will be a real pleasure to wear. 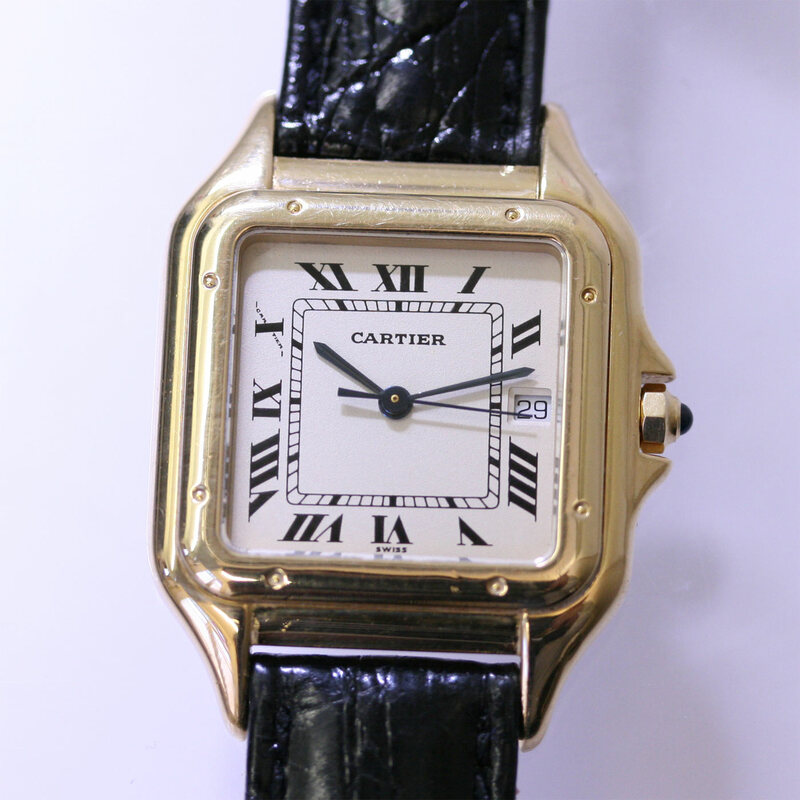 With Cartiers infamous sapphire bezel, and fantastic case design, it is fitted with a quartz movement.